sailboat. 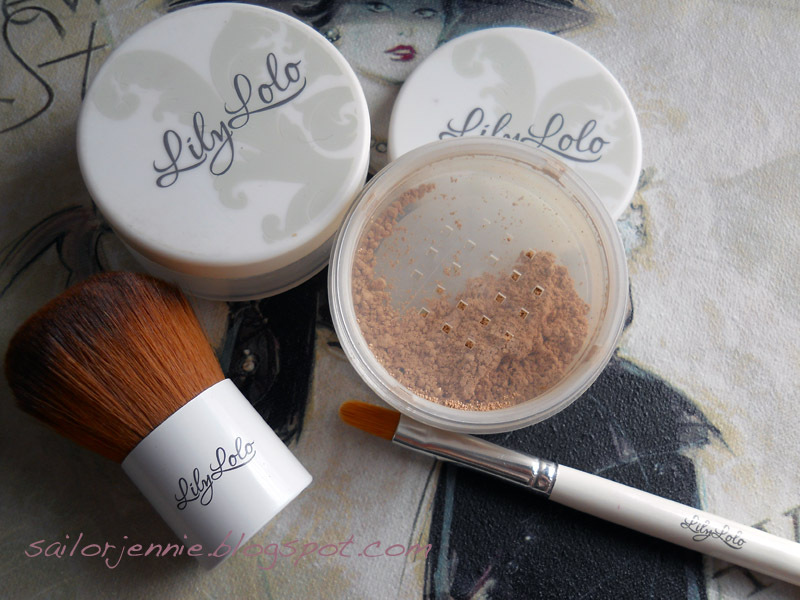 : Review: Lily Lolo Mineral Foundation. Before I begin I feel that I have to say that I have not been paid or anything for what I'm about to write, nor were these products sent to me for free, I purchased them with my hard earned pennies. I'm almost certain that Lily Lolo have absolutely no idea who I am & I truly love these products and I want to ramble a bit about why I think the brand deserves all the positive reviews in the world. 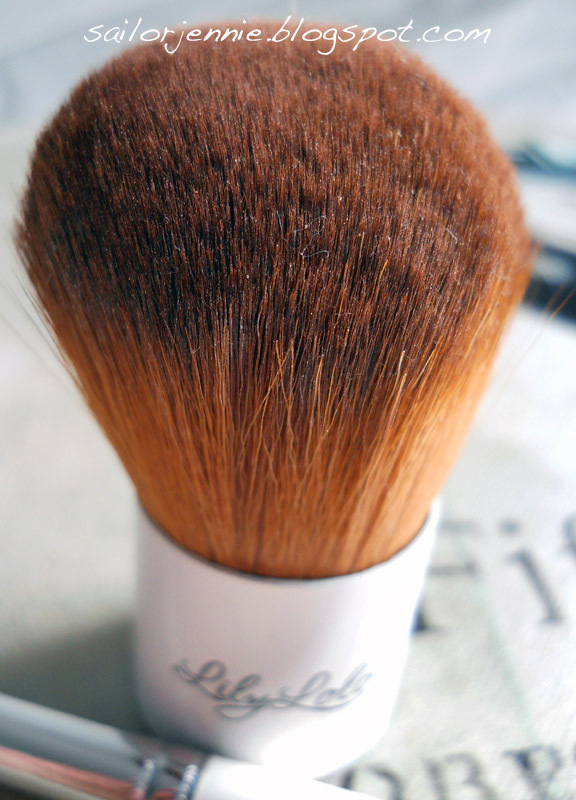 Lily Lolo mineral foundation, Super Kabuki Brush & Concealer Brush. 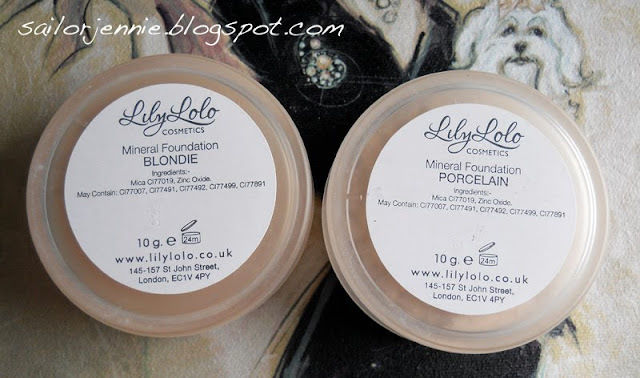 I first stumbled across Lily Lolo mineral cosmetics a couple of years ago when I had quite bad skin (don't worry, I won't bore you with that story again!) and I was looking for make up lines that didn't use any nasty ingredients in their products that could possibly cause further irritation to my skin. Lily Lolo products are free from synthetic fragrances, petrochemicals, parabens & dyes so pretty perfect for those with sensitive or problematic skin. They also don't use bismuth oxychloride, which can cause itchiness for some people, like myself, and it's not pleasant I can tell you that for sure! They have divided their foundation shades into four categories; neutral, cool, warm & olive. I feel that they currently cater to a wide variety of skin tones and although I can't comment on the darker shades, being extremely pale I can say that it was a pleasant surprise to have found a shade pale enough for me. As an extra help in finding your shade they offer sample sizes, which are 0.75g and cost a mere £1.25 & in my experience these last a surprisingly long time. That's perfect as you can fully test out the colour match and whether you get on with the mineral formulation before committing to purchasing the full size pot. I like to mix the shades porcelain & blondie together to achieve my perfect colour match. I love the packaging, not only is it pretty, it's also very practical and simple. It comes in quite a wide frosted plastic tub with Lily Lolo printed in gorgeous letters on to the lid. The size of the tub is important in my opinion because it means the lid is large enough for you to tap in some of the product and be able to properly swirl your brush around in it so you get a nice application. For application I have the Lily Lolo kabuki brush which I really like because it's super dense and lovely & soft. It makes application a breeze and once you get the hang of it the whole process takes no longer than 2 minutes. Perfecto for those mornings when you accidentally hit snooze on your alarm one too many times - oops! Lily Lolo Super Kabuki Brush. As for coverage, that depends entirely on what your preference is. If you like a light coverage then the tiniest amount of product will give you that but it is also extremely buildable and will cover pretty much anything. I tend to use a separate concealer on my hideous under eye circles and on especially red areas of my skin but with a layer of Lily Lolo over the top then all traces of imperfections disappear. All of that while still looking natural means top marks from me! Full size pots of the foundation are £12 and contain 10g of product. I find that so little is needed to achieve a nice coverage that one pot lasts me around 7-8 months with regular use. Even if you have to purchase 2 shades to mix together that initial £24 investment will last you such a long time, I think it's the ultimate bargain and I do love a good bargain, oh yes! They've just updated their website which is http://www.lilylolo.co.uk/ and have a detailed FAQ page that should answer any questions. What are your thoughts on mineral foundations? Have you ever tried Lily Lolo? @ Claire - I love the fact they have tester pots, it makes it so easy to find your shade. It always puts me off purchasing from some companies if you can't try before you buy. Am purchasing the starter kit for foundation this weekend and a couple of other samples. Excited!!! I have ordered my first sample pack. I am so delighted. The foundations are really really good. I love the finishing powder. I am not going back to my liquid foundation any more! Love lily lolo!!!! I really love this review's introduction, you couldn't have said it any better! I've just spent £25 on Bare Minerals foundation and kind of wished I'd discovered Lily Lolo before as it sounds equally as good and half the price. I know for next time! I have however just bought the Lily Lolo corrector and the pink champagne shadow. I'm excited to try them out!